Powerful & Energy Efficient LED High Bay Lighting. To ensure that our products meet your exact application, we offer highly-customisable solutions. Thanks to the several different variations available – these LED lights are well suited for warehouses, factories, exhibition halls and showrooms. InnovateLighting offers LED products that are not only built-to-order but also delivered in days. 1. Installation: Cable-Hanging or Fixed-Bracket Ceiling Mount? Choose from either a cable-hanging or fixed-bracket ceiling mount method, and we will provide the relevant parts, accessories and instructions to meet your requirement. 2. Beam Angle: 30°x70°, 60°x90°, 40°x130°, 90° or 120°? The high impact beam reflectors allow us to optimise the projected light while minimising glare, providing us with very uniform light. The wider the beam angle, the wider the area the light covers. If you have working areas that require a focused beam of light, an industrial LED light with a narrower beam angle may serve you better than a wider one and vice-versa. 3. Intelligent Control Options: Dimmable, Motion-Sensor or Zigbee? You can decide whether you want your light to have standard control functionality or upgrade to incorporate a dimmer, motion sensor and/or Zigbee controller for advanced automation. Fast & effective cooling performance. Made from high-strength extruded aluminum and intelligently designed – this light is able to achieve outstanding cooling performance. Effective heat dissipation extends LED longevity and reduces the total cost of the LED lighting systems by minimising the frequency of replacement and by allowing fixtures to operate at higher power levels, thereby reducing the number of diodes that must be used in the fixtures. Industrial grade. Built to last. High grade materials along with perfect workmanship guarantee a long lifespan (over 50,000 hours of use). 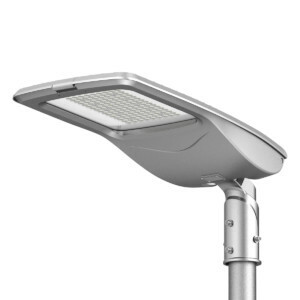 Capable of working within a wide temperature range between -30ºC and 50ºC – fixtures are IP65 waterproof certified and suitable for outdoor conditions, humid facilities and wet areas. Energy saving and efficiency is combined with a 5 year warranty on all products giving you peace of mind. With its modern aesthetics, don’t let these distinctive good looks deceive you – these products are built for industrial use! It’s weatherproof aluminum alloy housing and the high quality polycarbonate lens make it dust tight as well as water and impact resistant for use in harsh environments. We use high-quality branded ‘Nichia’ LED chips that provide astonishing colour efficiency, high luminous flux and a perfect ‘daylight’ 5000K colour temperature. Our LED lights also feature an integrated Meanwell driver which guarantee a constant and efficient power feed. We are able to ship worldwide. For international deliveries – we charge based on the actual weight; for an accurate quotation – please get in touch.